Following up from our latest blog, where we spoke about what would make the woman in our lives happy this holiday season, we thought it would be only right to discuss what might be at the top of your Christmas lists, guys. 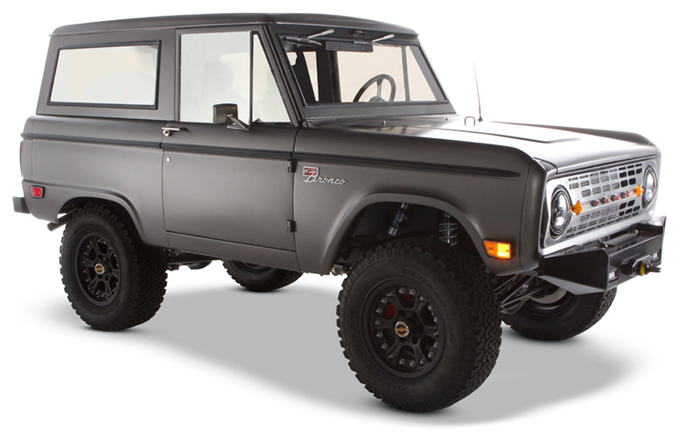 You likely always want the best, the coolest, the latest, the most updated version of whatever it is you are going to buy or get. And, let’s be honest, guys everywhere will always be big suckers for toys of one sort or another. Of course this will be at the top of our list, what did you expect? And even if you don’t want to go as far as getting a full suit, get him bespoke anything! Most men would love to have some bespoke garment in their closet, whether it’s a suit, a shirt, or even a bespoke tie and matching pocket square. Anything bespoke is an investment in one’s appearance and a true pleasure for any man to have. 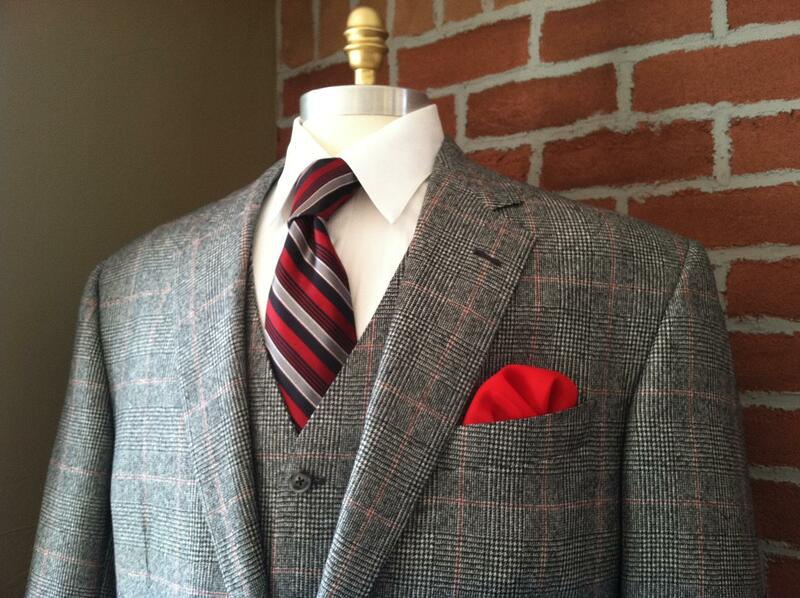 Find a Super 210 wool suit under the tree? Then Santa has never been nicer to you! How about some high style cold weather pieces to keep dry and warm during the cold months ahead? Shoveling snow is a fate that sometimes almost every man must endure. May we suggest these Hunters to make the experience more tolerable for him? 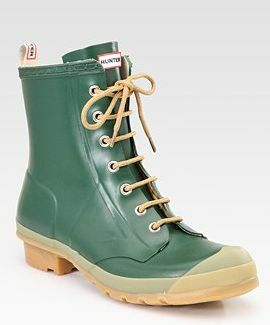 The same revered Hunter fit and comfort, molded in vulcanized rubber with a combat style and quick-dry nylon lining. Stylish, but functional. And while the men are all out in the cold shoveling, someone might be trying to get a hold of them. 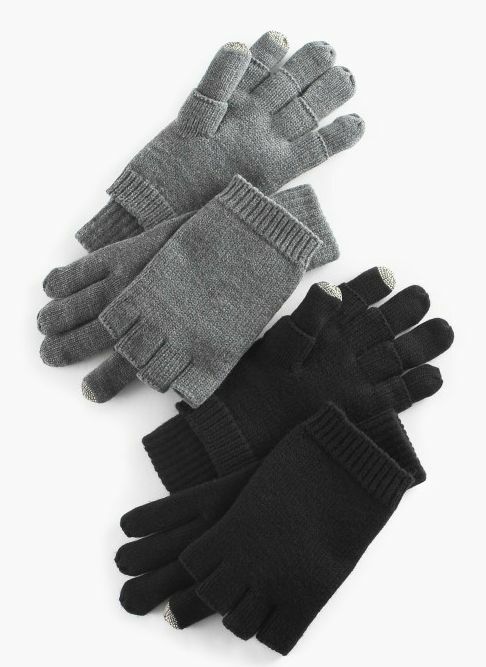 Don’t worry, they won’t freeze their fingers in the cold answering their phone, just keep gloves on them at all times while they pull out their little, digital best friend. How? In these gloves! Echo three-way touch screen tech gloves. Keep your hands warm and text at the same time! All the while, of course, looking fantastic. Is your man into music? How about these excellent high-quality earphones? 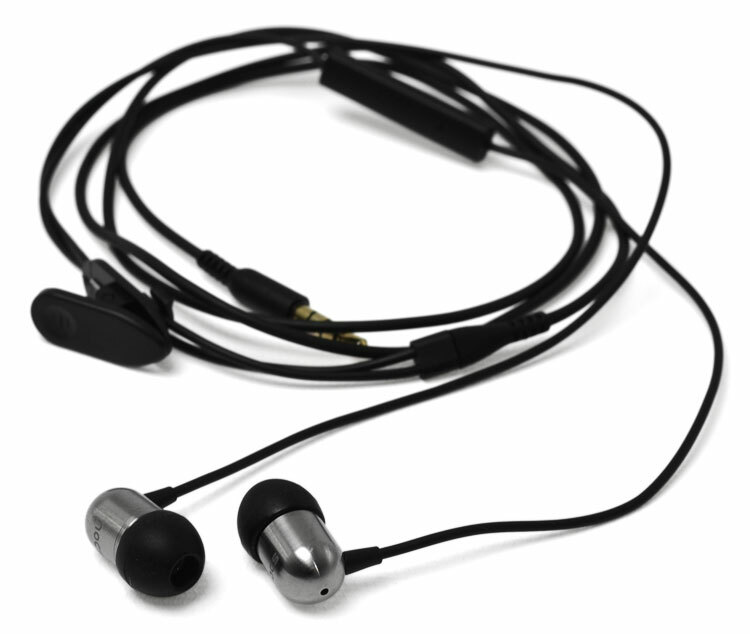 Nocs NS400 earphones, equipped with amazing dynamic sound in a cheap, compact passage. Now the ideas are coming fast and furious! How about shatter-proof glassware for the action hero in your life that still wants his pad to look like it belongs to James Bond? Check out Zwiesel Kristallglas’ products. Or perhaps the best of the best camera? The Canon PowerShot SX20IS fits the bill, coming in at under $600, but with every possible feature you can think of in a digital camera. How about that man in your life that fancies himself a samurai warrior? …But fights most of his battles in the kitchen? 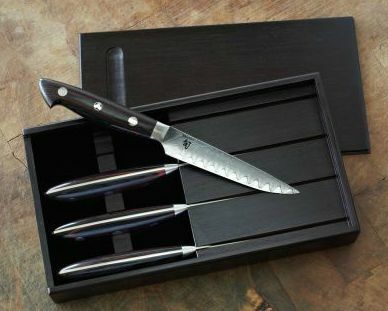 Try out Bob Kramer knives by Zwilling. You can get them at Sur la Table starting at an absurdly cheap $140. Have an athlete in your life? He’ll love this Timex Ironman Global Trainer GPS watch, available for around $300. Moving past things you put in wrapping paper, what about the adventurous guy who loves to experience new things rather than receiving something wrapped in a bow? Take a look at these two sites. The first is for an authentic English shooting experience right here in the NYC area: Hudson Farm. And the latter presents a variety of fun activities for him to do alone or together with you, from hang gliding over the Hudson Valley to a New York craft beer crawl tour. And finally, for your rabid sports fan man, anything that has to do with his favorite sports team is always a winning ticket. Tickets to a game, if you can get them, clothing memorabilia, or, if you can get it, an autographed football or baseball or jersey, what have you, by his favorite player! Go a step further by wrapping it up in a nice glass display box Might be a little hard to get, but they are surprisingly inexpensive while being worth millions in his mind and heart. Just make sure you get it from the right team if sports isn’t your thing! In some circles, that would be an insult graver than insulting his mother! So, we’ve drowned you in ideas here, but we’re sure whatever kind of man you’re buying for, one of our ideas will make his holiday season a memorable one! And remember, if it comes from your heart and because you were thinking of him, it will be special no matter what.